Professor Maria Pramaggiore will become Director of Film Studies beginning in January, 2011, taking the reins from Dr. Devin Orgeron, who has directed the program since 2009. Dr. Pramaggiore, whose research spans feminist, avant garde, and queer cinemas, has written two books on Irish film and co-authored a film studies textbook. She has been integral to building the film studies program over the last decade, developing both graduate and undergraduate curricula in the Department of English. 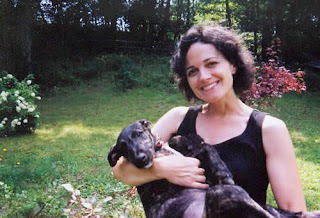 She was Director of Film Studies at NCSU from 2003-2006. 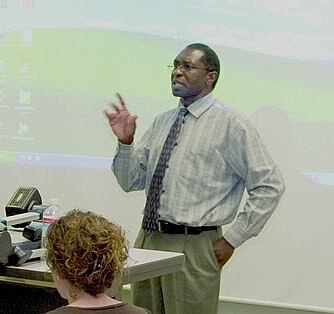 Dr. Kiwanuka-Tondo has been named director of International Studies. He replaces Helga Braunbeck, who now directs the college’s Interdisciplinary Studies. “James has extensive experience in the international arena,” says Braunbeck. “He has a strong background in research and has taught such classes as intercultural communication. He has recently been an eager and fully engaged member of the International Studies Advisory Board.” Tondo’s research interests include health communication campaigns, especially AIDS education campaigns. He will lead a study abroad trip to Gaborone, Botswana, in the summer of 2011.